Ibnul Qayyim said: Mutual rivalry mentioned in Surah At-Takathur applies to everything gathered through rivalry. This mutual rivalry can occur through seeking after wealth and prestige, or rivalry through cultivating crops. 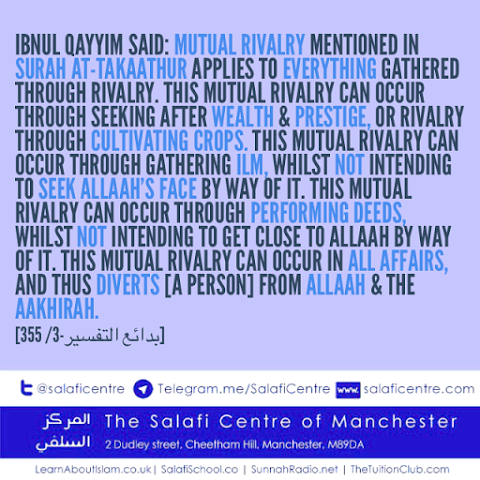 This mutual rivalry can occur through gathering ilm, whilst not intending to seek Allaah’s face by way of it. 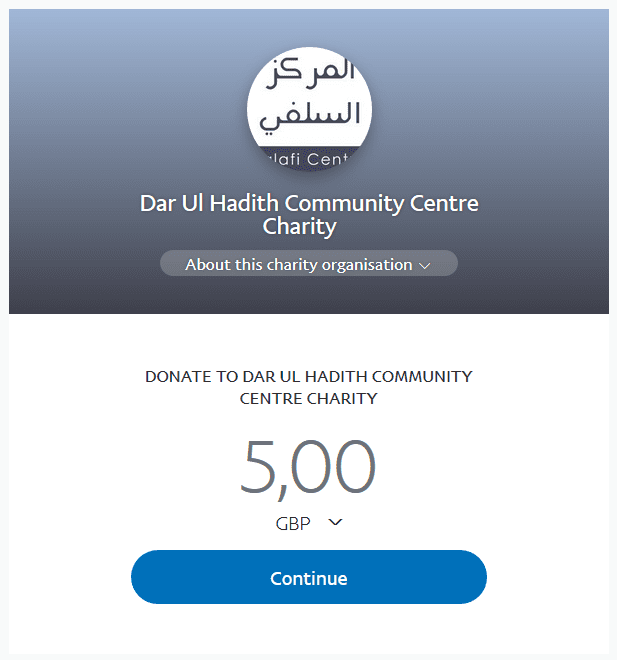 This mutual rivalry can occur through performing deeds, whilst not intending to get close to Allaah by way of it. This mutual rivalry can occur in all affairs, and thus diverts (a person) from Allah and the Aakhirah.